Moscow’s deputy mayor has presented a report to the head of the city in which he stated that recent protests in the capital's center had hampered the work of municipal services and damaged the budget. Such events could lead to serious accidents with “aggravating consequences,” Pyotr Biryukov stated in his report to Sergey Sobyanin, cited Izvestia daily. For instance, the emergency gas service had to spend up to 1.5 hours (as opposed to the 40-minute standard maximum required) to get to places where technical incidents were reported. The service’s hotline received 27 phone calls from the areas where protests were staged. The company suffered 250,000 rubles (about US$8,500) in losses because of work in extreme conditions. The official stated in the report that in case of serious damage, the Moscow Gas company would have to spend about 25 million rubles (almost US$850,000) to restore the gas supply system alone. Not to mention compensation to third parties for damages. Moscow’s energy company also had difficulties providing repair works. 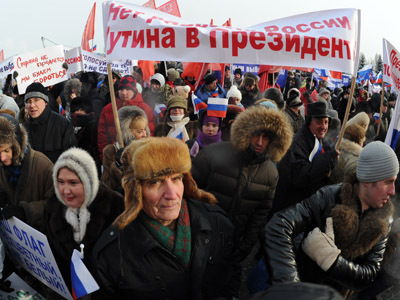 Biryukov observed that 93 heating supply stations were located in areas that were blocked because of protests. Given the cold weather, it could have led to a serious accident and problems with water and heating supplies in 22 buildings. The capital’s Emergencies Ministry department spent an additional 1.8 million rubles (almost US$70,000) because of protest actions, the deputy mayor said. 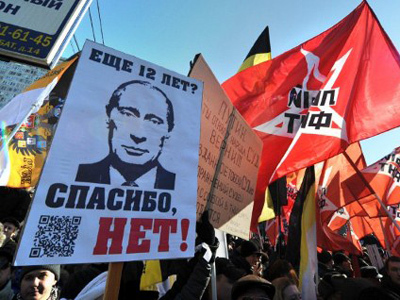 The Moscow authorities are also unhappy with the law on rallies and processions. However, the city parliament leaves it up to federal legislators to decide on these matters. Deputy mayor Aleksandr Gorbenko refuted earlier reports in the media that the mayor's office was considering amendments to the law on mass actions. At the same time he noted that it is logical to discuss imperfections. 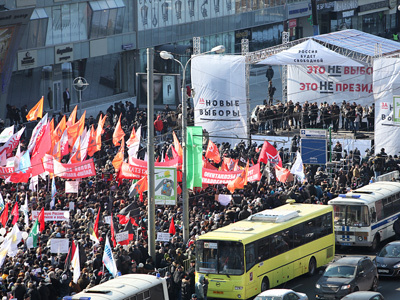 Talking on Echo of Moscow radio station, the official observed that the Federal Law on rallies has some inaccuracies that can be interpreted in different ways. 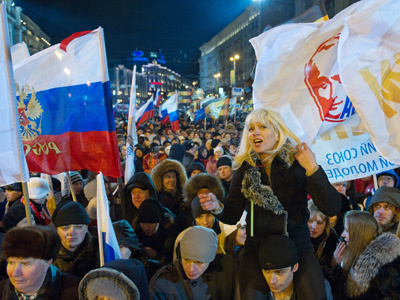 Following the December 4 parliamentary vote, Moscow has seen a series of opposition protests. Thousands took to the streets to voice their disagreement with the election results, the political system in general and demanding reforms and a fair vote. Supporters of the ruling power did not remain silent either and staged their own mass events in the capital. 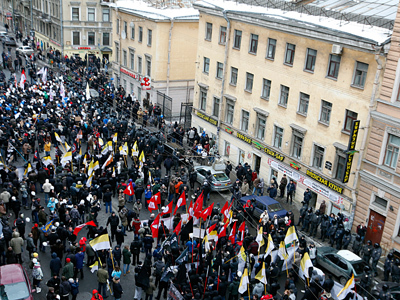 Blocked roads, crowds with flags and banners, and thousands of police have lately become commonplace in the city center. While activists enjoy the feeling of unity, citizens who prefer to stay away from politics face some inconveniences due to the gatherings and have criticized the authorities. A solution to the problem was earlier proposed by President-elect Vladimir Putin. “We should find some decent place like the Hyde Park of our European neighbors, where anyone who has such a desire can speak freely and openly on any subject, with the media having the opportunity to deliver this viewpoint to all citizens of the Russian Federation,” the prime minister said. The mayor’s office announced later that they would form a working group to discuss with the idea. Lev Ponomaryov, the head of movement for Human Rights believes that the constitutional right for the freedom of assembly cannot be sacrificed for the sake of municipal services interests. Squares and roads are meant not only for cars and public utilities, but also for citizens, he observed to RIA Novosti. City authorities must find a compromise decision, he insists. Rights activist Svetlana Gannushkina agrees that limiting mass actions is unacceptable. “It is an expression of popular will and a city, especially the capital, should be ready for such things as peaceful rallies,” she said. Aleksandr Brod, head of Moscow bureau of human rights, underlined that meetings are an integral part of a democratic country. He admitted though that mass events create some discomfort for Muscovites and noted that he favors the idea of setting up a dedicated place for political rallies where events could be held without special permissions. 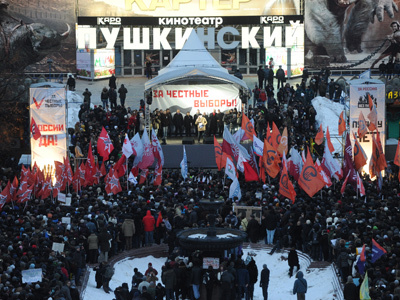 Earlier, leftist leader Sergey Udaltsov – one of the organizers of anti-Putin's rallies – urged protesters to take part in yet another mass event on May 1, a week before the presidential inauguration. 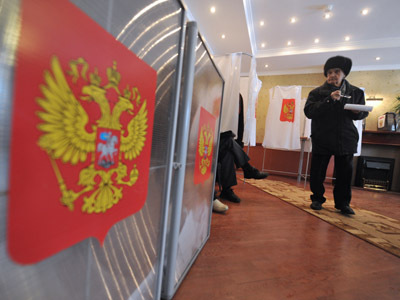 He expressed hope that up to a million people would take to Moscow's streets to protest against the results of the Sate Duma poll and the March 4 presidential vote.